How is a Snare Drum Made? Ever thought about how is a snare drum made? The construction and process of creating an instrument greatly impacts its tonal possibilities. Let’s take a look at the construction of a snare drum. A snare drum or side drum is a percussion instrument that produces a sharp staccato sound when the head is struck. The unique snare sound is due to the use of a series of stiff wires held under tension against the lower skin. The snare drum originates from the tabor, a type of drum used to accompany other instruments, mainly flutes. The tabor evolved into more modern versions, such as the kit snare, marching snare, tarol snare, and piccolo snare. A snare drum consists of two heads along with a rattle of metal wires on the bottom head called the snares. Snare heads are usually made out of plastic. Snare wires can also be placed on the top, as in the tarol snare, or both heads as in the case of the Highland snare drum. As already mentioned, materials and quality used during the manufacture of a snare can have a major impact on its sound. One of the most important material choice is the material for the shell. 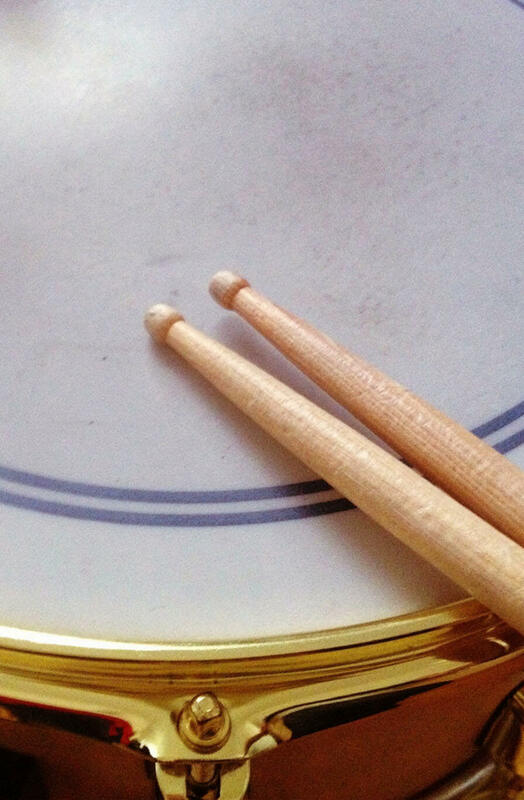 Manufacturers have experimented with many different materials (including acrylic, fiberglass and carbon fiber), but the majority of snare drums today are made from wood or metal. Whether you decide on a metal or wooden snare is mostly a matter of your personal taste. Butowning a couple of snare drums might be a good idea. Professional drummers tend to own multiple snare drums made from different materials and of varying sizes tailored for specific musical applications. Another part are the wires. Snare wires are usually made from coiled wire in a spiral shape that creates crisp bright tone. The most common wires are made from chrome-plated steel. In addition to that, orchestras sometimes use plastic wires to emulate the sound of ancient gut wires. The last important part are snare strainers. There are many different types of snare strainersavailable, though simpler designs are the most popular ones. Most have a lever than either drops to the side of the shell, or 90 degrees away from it, releasing the wires. A fine-tuning knob at the top allows for subtle adjustments to the wire tension. For perfect sound and performance, you need to tune your snare drum correctly. Different companies will focus on different parts or use unique combinations of materials. Some of the most famous snare drum manufacturers are PDP, Gretsch, Natal, Ludwig, Yamaha, and Pearl, but there are many more out there. So, there you have it! That’s how a snare drum is made. If you are interested in learning more about snare drums or drumming in general, take a look at our drummers section because we have a lot of interesting articles there, including a full review of the 9 best snare drums on the market!